Area residents turned out for Cirque de la Mer, the annual fundraising gala for the Maritime Aquarium at Norwalk April 24. At the event, the 15th annual Red Apple Awards were presented. 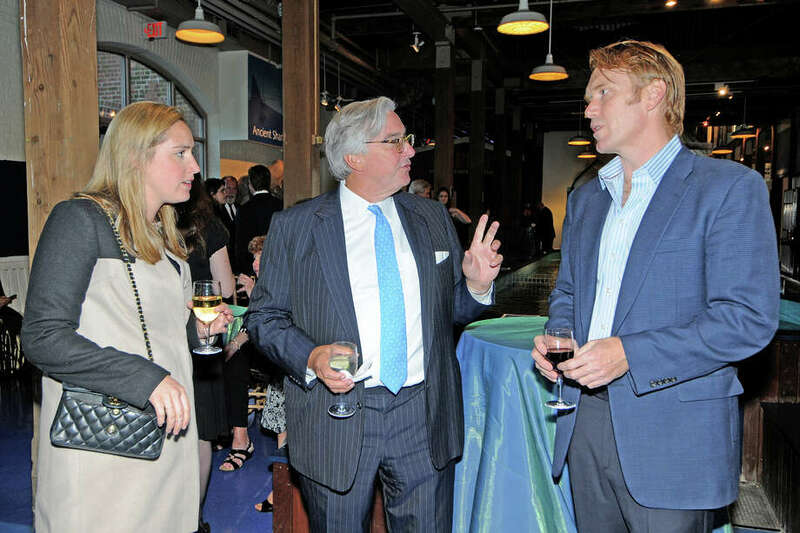 More than $777,000 was raised during the event to help present aquarium's Red Apple Fund environmental education programming to students in Connecticut and throughout the tri-state area. That includes $125,000 specifically to help schools meet the costs of busing for field trips. This year's "Cirque de la Mer" was themed "Mystical Magical Maritime Masquerade" and was attended by 440 people. Featured speakers included U.S. Sen. Richard Blumenthal, D-Conn., who said the Red Apple Fund "is what is needed to get kids involved and inspired by science." Also during the evening, members of the aquarium's board of trustees presented a gift honoring President Jennifer Herring, who will retire later this year after 10 years at the helm of the South Norwalk attraction.